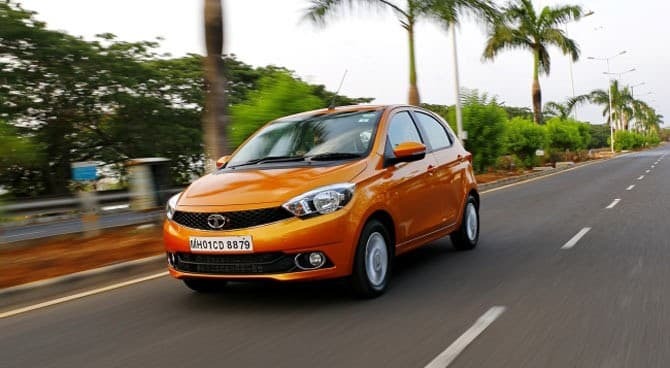 Tata Motors has come up with a new variant of their popular hatchback Tata Tiago, now equipped with AMT (Automated Manual Transmission) to offer its customers a more pleasurable driving experience. Priced at Rs. 5.39 lakhs, ex-showroom Delhi and Rs. 5.73 lakhs, ex-showroom Mumbai in the already crowded and competitive hatchback segment; the TATA TIAGO AMT XZA has emerged as one of the best value for money cars in India. The current version of the Tiago XZ costs Rs 4.99 lacs (ex-showroom, Delhi) and at an additional Rs 40k for the top speced XZA seems reasonable given that it now completes the checklist by including an easy shift AMT. Under the hood, the Tata Tiago AMT continues to be powered by the standard 1.2-litre 3-cylinder Revotron petrol engine which is designed indigenously by the Tata Motors. It comes mated to the AMT gearbox and churns out 83.8 bhp of power at 6000 rpm and 114 Nm of torque at 3500 rpm. 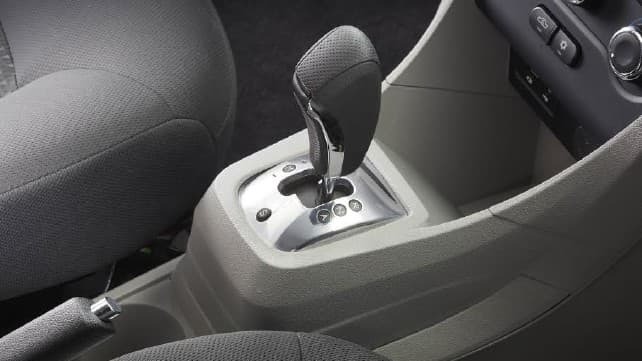 The Tiago's Easy Shift transmission comes with four gear positions, namely- Automatic, Neutral, Reverse and Manual ensuring a stress-free driving experience. Additionally, it boasts of 2 drive modes, City to zip through traffic with complete ease and Sports for a lively highly spirited drive. To facilitate easy maneuverability in heavy traffic conditions on Indian roads and during parking, TIAGO's Easy Shift AMT comes equipped with a 'creep’ feature, which enables the car to crawl forward when the pressure is eased off the brake pedal, without pressing the accelerator. This feature also prevents the car from rolling back when it's in an inclined position. Besides, the interior of the Tata Tiago AMT comes with impressive features like dual front airbags, Anti-lock Braking System (ABS), a Harman infotainment system, Electronic Brakeforce Distribution (EBD) as well as a steering wheel mounted audio and phone control. The car will be available across the country via 597 Tata Motors sales outlets, starting 7th of March.